FlyPharma Conference US concludes its first successful year! 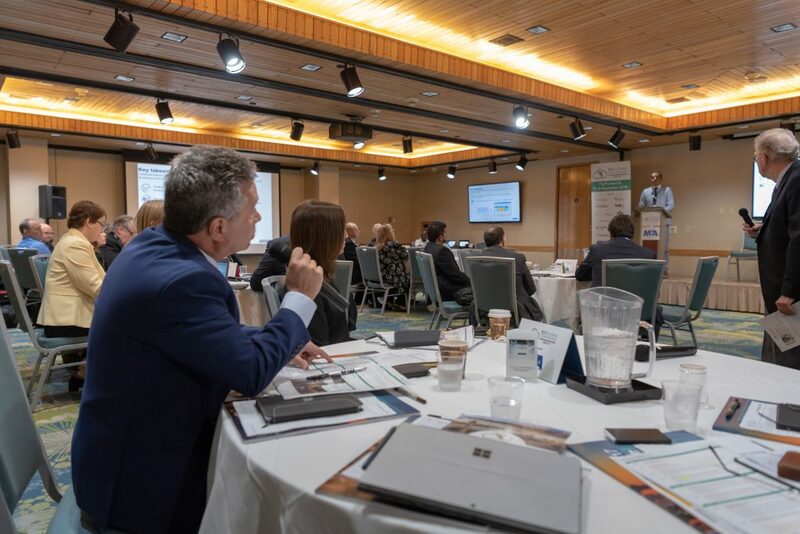 The FlyPharma Conference US, hosted in the cosmopolitan Miami International Airport Hotel, has closed its doors on its first year, having succeeded in facilitating new connections and promoting comprehensive and in-depth discussion into all aspects of the pharmaceutical supply chain. Conveniently located within Miami International Airport, the conference – the first FlyPharma conference to have been hosted in the United States – achieved its aim, as it had in both Brussels and Hong Kong, of bridging the gap between supply chain stakeholders and those working in the pharmaceutical industry. Above all, FlyPharma aims to provide insight into key industry topics while creating a platform in which executive and management-level professionals can network effectively and intelligently in an open, diverse and knowledgeable environment. However, this year’s FlyPharma US Conference was particularly successful in expanding our attendees’ knowledge and understanding of topics that may have been unfamiliar or may not have been considered previously. From the benefits of the state of Florida in developing pharma supply chains, to the challenges of delivering vaccines to remote areas in the Amazonian rainforest, discussion on Day 1 covered a range of topics including everything from the potential of the blockchain in ensuring the safe transportation of medicines, to regulatory shifts that are shaking the pharmaceutical supply chain industry. Driving all of our speakers was a real desire to push the industry forwards and share expertise in a conference that is unique in truly bringing together all elements of the pharmaceutical supply chain. Chaired by experienced pharma supply chain professional Rafik H. Bishara PhD, who brings with him his 35 years’ worth of experience at Eli Lilly & Co, the conference ensured that first and foremost, the diversity of perspectives and opinions that our delegates bring from their roles working in the pharma supply chain – in locations across the Americas and from around the world – were given an open and intelligent platform in which they could be shared. Held over two days on 11- 12 September, the conference opened with Manny Mencia, the Senior Vice President of Trade and Development at Enterprise Florida, who talked on the unique combination of factors that make the state of Florida an excellent choice for pharma supply chain companies. As the 16th largest economy in the world with an in-state GDP of $1 trillion, Florida exports more than $600 million worth of pharmaceutical products each year. Meanwhile, the South Western state is 3rd in the US for biopharmaceutical clinical trials, which contribute nearly $2.7 billion to the state’s annual GDP. Equally, the diversity in terms of age and ethnicity that is particularly apparent in Florida was noted to be especially conducive in conducting clinical trials. “With such a diverse and multicultural population, I like to think that Florida provides an ideal environment for medical research”, said Mencia. Other delegates discussed their role in shipping pharmaceutical products through Miami into South America and the Caribbean. “We have excellent connections to South America and the Caribbean”, said Shital Parikh Mars, CEO of the Fort Lauderdale-based health services organization Progressive Care, during the panel discussion ‘Global vs local’ on the morning of the second day. In order to expand the discussion, and open a platform through which ideas could be shared, the first day saw a particularly successful workshop focusing on the question of ‘What responsibility do you have for the rest of the supply chain?’ The workshop not only asked delegates to consider their role in the process, but highlighted the importance of taking responsibility for the supply chain as a whole. Ronald R. Schaefer, Assistant Director at the International Air Transport Association (IATA), suggested that: “Patient safety is a joint responsibility.” Another delegate responded in suggesting that “The manufacturer bears the responsibility.” A detailed and expansive discussion continued as attendees offered in-depth analysis into the issue of responsibility in the supply chain. In another discussion, Raymond Poolat, Director of Cold Chain Solutions at DHL, offered insight into the potential of blockchain as he suggested that: “With blockchain a consumer could access all the supply chain information from the route taken, to the temperature at which the medicines were stored, from start to finish, simply from their mobile phone.” Other guests pointed to the transparent, open and democratic potential of the innovative new technology which is set to disrupt the pharma supply chain industry over the coming decade. Finally, in concluding the event, delegates were given the opportunity to take a site tour of Miami International Airport and LATAM Cargo’s refrigerated pharma facilities. The tour not only offered attendees an authentic insight into the workings of one of the US’s largest airports, but it also acted as the perfect end to the FlyPharma Conference US 2018. Part of the FlyPharma series of conferences, FlyPharma Asia will return to Hong Kong on 9-10 April 2019. FlyPharma Europe 2019 and FlyPharma US 2019 are due to announce their dates and locations soon. If you would like to participate in future discussions and learn from a select group of speakers and audience members, make sure to visit www.FlyPharmaConference.com for more information, to register your interest or secure your place. If you have any questions, including potential speaking or sponsoring opportunities, please contact Angela Cottrell, Events Director (angela@samedanltd.com) or Charlotte Tsang, Events and Marketing Assistant (charlotte@samedanltd.com).